The last time the Olympics were in London in 1948 was also the first time an Asian American won a gold medal in the Games. That distinction belongs to 91 year-old Dr. Samuel “Sammy” Lee, who was born in Fresno, CA and is of Korean descent. What The Hell Are We Doing On The Cover Of Hyphen Magazine? The last issue of Hyphen featured our heroine, Ms. Margaret Cho, on their cover. The new one, Issue 19, bears a photograph of us. Either we’re blowing all the right people, they’re out of ideas, or we’re all doing something right! Continue reading What The Hell Are We Doing On The Cover Of Hyphen Magazine? 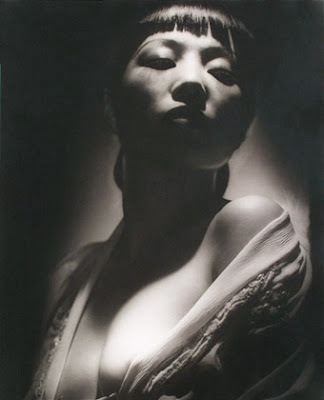 Today would have been the 103rd birthday of our heroine, Hollywood film actress Anna May Wong. This fierce tigress may have passed on to the film set in the sky over four decades ago, but we consider her a trailblazer for Amazian ladies and consider her (and her fabulous hair) around us at all times. Happy Birthday in the heavens!